How many of us have ever woken up in the middle of a warm summer night – hot and sticky, because our pillows were damp with sweat under our heads? It’s not a very pleasant feeling. And then we turn our pillows overlooking a cool spot, in the hopes of getting comfortable enough to go back to sleep. As someone who has traveled a lot to tropical countries, I’ve definitely experienced this. And seriously, this happens even at home in the summer. Studies show that people sleep best when our rooms are cool, and so, nobody wants to sleep on a hot, damp pillow, right? Well, I’ve actually got some good news. The latest trend in pillows seems to be this: pillows that have a cooling factor. Pillows are now being made and manufactured to stay cool and keep you cool all night long, which is really… well… cool, isn’t it? 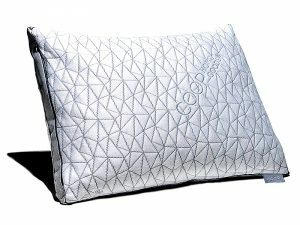 Think about it – people are making pillows that they say will keep your head nice and cool all night long so that you don’t wake up in a sweat, and you can enjoy a wonderfully long sleep. I love this idea! And so – I did my homework. 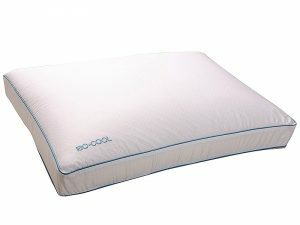 This week, I researched all that I could about choosing Best Cooling Pillow just to see how they work. And it is fascinating, let me tell you. And the great thing is that they’re not just for people like you and me who wake up when we feel hot, but they have an added health benefit of providing relief to middle-aged women who suffer from hot flashes, and even better, people who have endured burns from radiotherapy. I think that products that make people feel better deserve our time and attention. Imagine my surprise when I found out that there are three separate technologies being employed in the manufacturing of cool pillows. These pillows have a pad that contains gel or water. When your skin rests on the gel or water pad, it gets the cooling effect from the principle in physics called conduction. 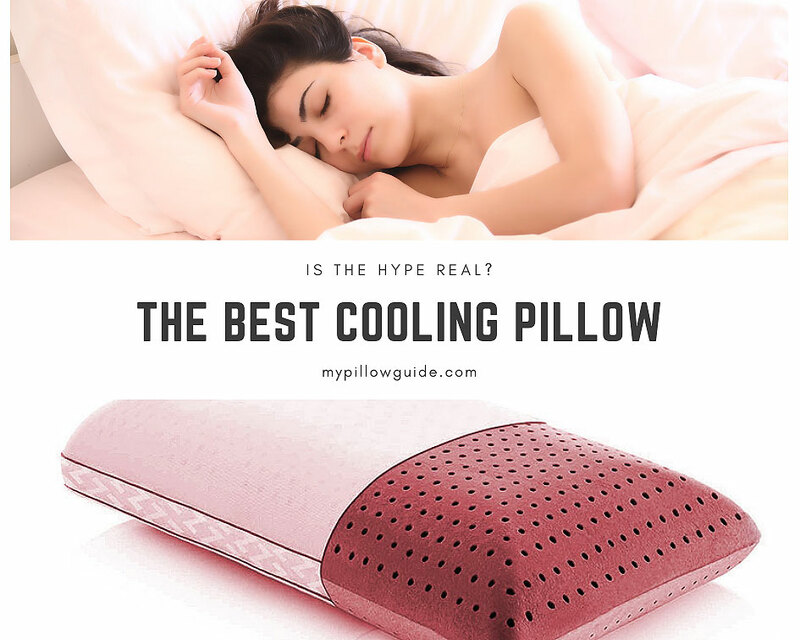 Alternatively, if you love the pillow you have and don’t want to change it, you can just buy a thin gel or water pad that you can insert inside it – simply called a “cooling pillow insert”. 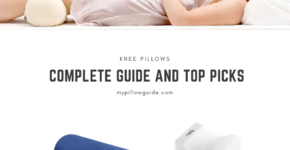 These pillows should not be confused with certain orthopedic pillows that are water-based, however, because those do not have the same cooling function. Some of these pillows have the cooling gel pads on one side, others have them on both – so if you’re someone who keeps flipping a pillow over to get to the cool side, you won’t have to do this anymore. The science behind these pillows is a little bit more complicated, but let me simply say that heat can be transferred from you and to you through PCMs. When they change from solid to liquid, or liquid to solid, the heat in your body is released or absorbed. Isn’t that amazing? These pillows are either filled with materials that allow air to pass through easily, such as buckwheat or are constructed in such a way that allows air to pass through, for example, instead of a solid block of material, the pillow’s surface will have a grid of higher and lower foam parts. This also allows for dampness to evaporate quicker than with more solid pillows. Let’s take a look at five popular cooling pillows available on the market today. 1. 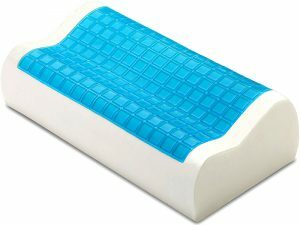 The PharMeDoc Contour Memory Foam Pillow with Cooling Gel for comfortable neck support. It’s made of infused memory foam, and is contoured, which means the surface of the front part is not flat but has a high and low side. This is good for people with neck and shoulder pain problems and works for side and back sleepers. It’s got a cooling gel insert pad on the front side, which is cool to the touch. Some people have found it to be more on the firm side, and so if you’re used to a soft pillow, it may take getting used to. However, the price point is excellent. 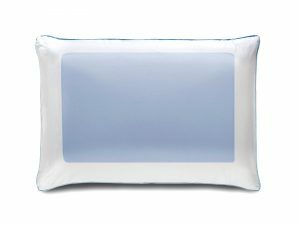 This pillow uses PCM technology or Phase Change Material that can detect body heat. This means that when your body gets too hot, the pillow will absorb that heat, and vice versa. So technically, this isn’t just a summer, warm weather pillow, but one that would work well in all types of weather. The PCM ensures that this pillow receives 400% more airflow than others, plus the 100% cotton pillow cover also helps keep you cool. Some people though, feel that this pillow is too lightweight, and not thick or hefty enough. Others have complained that their heads sink a little too much, which means that it may not be a good pillow for people who have neck pain. It’s got soft dough memory foam, where the holes are “zoned” strategically to encourage airflow. The “soft zone” in the middle cradles the head, while the “firm zones” on the sides, top and bottom support the neck and head very well. The pillow has temperature regulating gel foam as its cooling factor. One type also has bamboo charcoal for moisture regulation. One variant is even “lavender infused” to encourage good sleep. Sounds pretty neat, right? Some have commented that the firm areas are a little too firm, and so it may not be the best for people who are used to soft pillows. The price is more expensive than other pillows have. This pillow is a certified bestseller, and so has been very popular lately. It’s filled with gel memory foam all cut into pieces. It’s also adjustable, as you can remove or add as much of the filling as you like. Refill packs are available, and easy to use with the zippered pillowcase. Part of the pillow’s popularity is that you can push the pillow into a position that’s comfortable for you – if you need more neck support you can have that, if you want a hollow for your head, you can create that with this pillow as well. The cooling factor here is in the gel memory foam filling, which works really well since it promotes breathability. 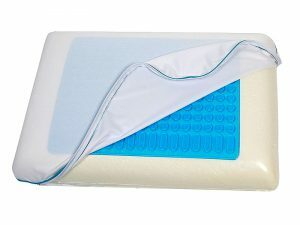 “Premium Reversible Memory Foam Stay Cool Gel Pillow With Removable Cover” is its full name and descriptor. 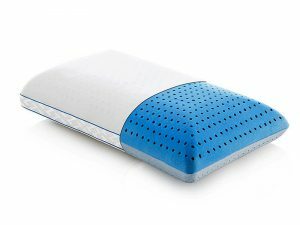 These pilots have cooling gel pads on both sides, and so you won’t need to keep looking for a cool spot, guaranteeing a peaceful night of sleep. The pillow is also said to be extremely comfortable and has sufficient neck and back support. It also employs air-wicking technology to keep you dry all night, and so you don’t wake up drenched in sweat. This pillow usually sells at quite a high price, but I have seen it on sale recently at less than $60. Are High-End Cooling Pillows Worth It? You know the expression, you get what you pay for, right? So, doesn’t it stand to reason that if you pay more for a cooling pillow, you get a better one? The pillows I’ve listed so far have been in a reasonable price range, and so I decided to dig a little deeper to find pillows that are more expensive. Why not live a little and splurge on some luxury pillows that may be more pricey, but when they come to you, they are actually cool to the touch. You know, there are some pillows that make use of technology so well that they actually feel like they just came out of a refrigerator. “Why not find a pillow that feels cold to the touch no matter how hot it gets? Now that would be a pillow I could use all throughout the summer months, to trips to tropical countries, or even when I or my partner might be running a fever”. Guess what, I found not just one but two pillows that fit this category! So apparently, there are two high-end, high-tech pillows that are battling it out for the title of The Best Cooling Pillow. Let’s compare the features of each one. The best of the best. So let’s cut to the chase – what do experts say are the best pillows designed for “hot sleepers”? While Tempur Pedic is a tried and tested name in the pillow industry, Malouf seems to be catching up quickly, with two of their pillows getting featured in this article. 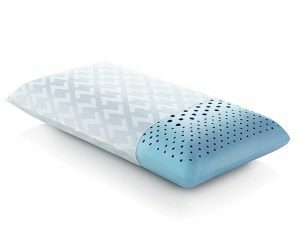 I can imagine that the Dual Cooling Pillow does a great job, as do other Tempur Pedic products, but I must confess that I am truly intrigued with Malouf’s Omniphase pillow. 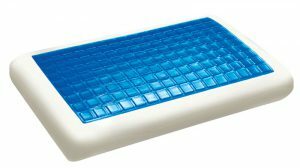 The fact that a reviewer said that the pillow felt “very cool like it just came from a refrigerator” made me extremely curious. I would love to try this pillow on a hot summer night, and be able to sleep well all night long! By the way, the Malouf Carbon Cool Omniphase Pillow also comes in a travel-sized version, at 16 x 12 x 4 inches. Pretty neat, huh? Or should I say cool? This means that if you and I fall in love with this pillow we can take it wherever we want to go. Its price is not cheap, but as I always, say, good sleep is worth it, especially when you’re traveling. And by the way, if you’re in the market for a new travel pillow, I wrote about the best ones here a few months ago. Check it out, and travel in comfort and ease! Not to mention, save yourself some neck and head pain in the process. You’re welcome! So how about you? Are you curious to try out a cooling pillow? Have you ever found yourself in need of one? Or maybe you’ve actually tried one and want to tell me and everyone else all about it? Leave us a comment below so we can all learn from each others’ pillow experiences. Or, if you have any questions about cooling pillows, let me know and I’ll answer you to the best of my pillow-abilities!